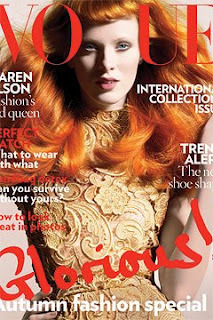 Nashville's own Karen Elson graces this months cover of British Vogue! It is a must for seeing Karen's makeup done by YSL's Val Garland! !